Janie's Pocono Mountain Garden: Do You Have Little Dragons In Your Garden? Do You Have Little Dragons In Your Garden? No, silly ... not the fire-breathing kind. The flowering kind. I'm talking about snapdragons! Snapdragons are unique. They vary in size from dwarfs no more then 10 inches high ... to giants nearly 5 feet tall! The fairly fragrant blossoms form on slender spikes that bloom from the bottom up. They come in a myriad of colors ... red, pink, orange, yellow, purple, white and even bi-colored. In my cold mountain climate, they are the perfect seeds to winter sow! They don't mind the cold at all. 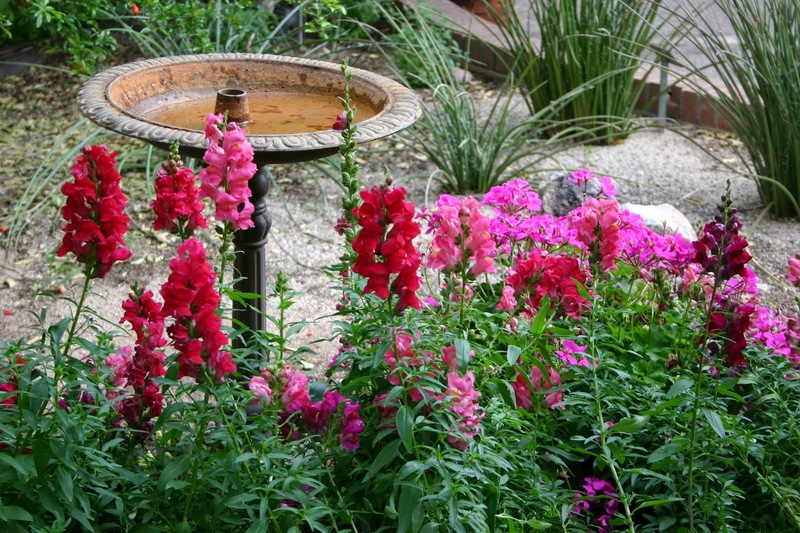 Snapdragons will grow well in full sun or partial shade. They like rich soil and ample water. To produce a stockier plant, when the plants are a few inches tall, prune out the leafy tips to promote branching. Don't stop there. Deadhead your flowers and they will continue to form new blossoms all summer long! 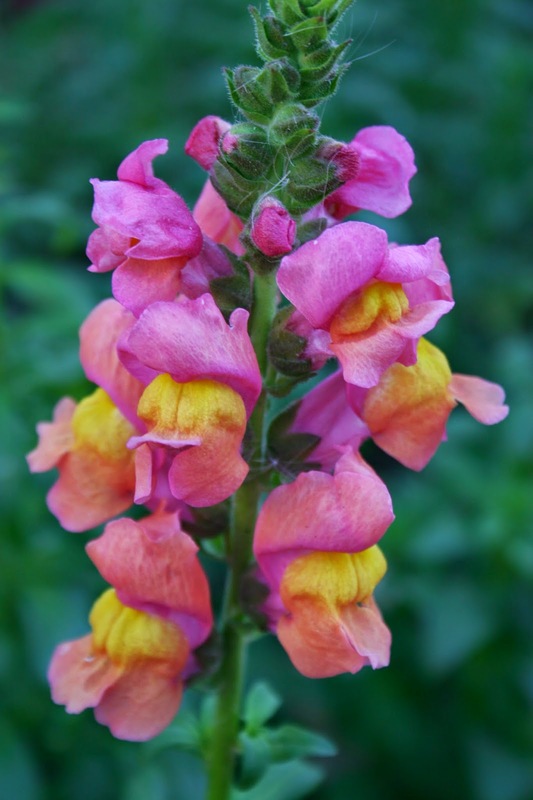 And why are they called snapdragons? Well, if you gently squeeze the sides of an individual blossom, the petals will part and then quickly snap shut when released. Hence, the dragon mouth or jaws of the dragon. Be careful. Watch your fingers or that little dragon in your garden just might bite you!